Whether you are using a desktop personal computer or a laptop computer, there are always chances of getting it stolen and causing danger to your personal confidential files and information. The computer thieves are increasing day by day. A desktop computer is still hard to get stolen but Laptops and Notebooks are pretty easy to steal. There are also chances that you might forget your laptop on some place or in some train or bus. 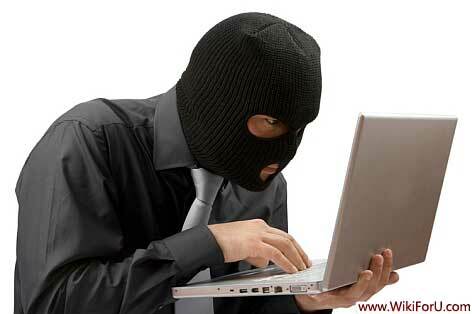 A recent survey results that in every 52 seconds, a computer or laptop is stolen. Thus, some security mechanism is required to stay safe and keep your computer machine and data secure. There are many software available which provides Thief control features. Some are free and some are paid. Here, we are going to take an example of Open Source Free Software known as Prey Project. This thief tool work on almost all platforms such as Windows, Mac OS and Linux. The good thing about this software is that it is open source i.e. you can use it for free. Although, there is a restriction or limit of three devices. Thus you can install and use this software on three devices for free. Tells the Location Of Thief: Prey uses device's in built GPS or the nearest WiFi hotspot in order to determine the proper location of thief and send data to the user. Take Screenshots: Prey also takes screenshots when thief turns your computer ON. So, you can find out what exactly were they doing on your computer. Data Safety: Your outlook or Thunderbird data is always safe with prey. It will automatically remove your stored passwords etc. Safety Lock: Prey will lock your computer and no one can open your computer or access a single file on your computer until a valid password is entered. Use Webcam: Prey uses your device's inbuilt webcam or camera and take pictures of thief so you can find the thief and have some information about the location. These are some features of Prey. There are also some other features. Prey is available for free for Windows PC. Linux and Mac OS. Choose your preferred operating system and download Prey for free.